Biomedical engineers work at the intersection of engineering, the life sciences and healthcare. 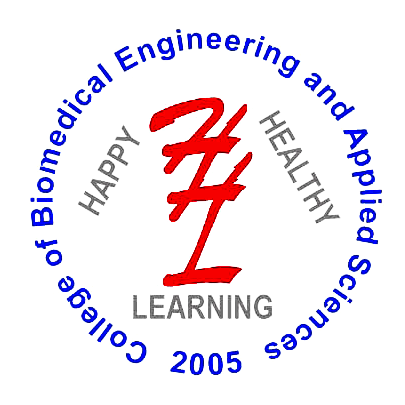 These engineers take principles from applied science (including mechanical, electrical, chemical and computer engineering) and physical sciences (including physics, chemistry and mathematics) and apply them to biology and medicine. Although the human body is a more complex system than even the most sophisticated machine, many of the same concepts that go into building and programming a machine can be applied to biological structures and diagnostic and therapeutic tools. The goal is to better understand, replace or fix a target system to ultimately improve the quality of healthcare by newer methods of Medical Engineering! Biomedical engineering is the fastest-growing career and this trend is expected to continue over the next decade, probably because of increasing need of newer and more qualitative health care. Hence, the need of Biomedical Engineers in hospitals, companies and other institutes is on the rise.